Undergraduate: Emory University, Atlanta, Georgia. Bachelor of Arts in Economics/Mathematics in 1981. Law School: University of Miami School of Law, Coral Gables, Florida. Juris Doctor in 1984. Guy P. Coburn has practiced law since 1984, both in small firms and large firms. He has handled dozens of trials in Small Claims, County Court and Circuit Court, including jury trials. His first position after law school was a high volume commercial collections practice. He then worked for a large multi-state firm focused on a wide range of consumer-oriented legal services, including Bankruptcy, Family Law, Wills and Estates. He then spent many years in a high volume Consumer and Commercial Collections practice, but also handled other Commercial Litigation matters including counterclaims and cross-claims against creditors. At this position, he built his experience with more difficult judgment enforcement matters. He has also worked for a firm focused on Community Associations, providing collections, analysis and interpretation of Association documents for Condominium Associations, Homeowners’ Associations and Cooperative Associations. Before opening his own office, Mr. Coburn most recently was "Special Counsel" for a large multi-state law firm where he had a wide range of practice. In addition to complex judgment enforcement and creditor's right matters, he continued to build his experience by representing Creditors who had been sued under Consumer Collections Practices laws, and then represented some Consumers under these same laws. He has also handled a number of litigation matters involving Real Property, including Landlord & Tenant, disputes over sales contracts, and Defense of Affirmative Defenses and Counterclaims in Foreclosure actions. Guy P. Coburn has participated with the Florida Bar and the St. Petersburg Bar Association in leadership positions. He served as the Chair of the Business Law Section of the St. Petersburg Bar Association for 2009-2012. This Section provides additional education and networking for attorneys in a wide range of legal areas for attorneys who serve business clients. 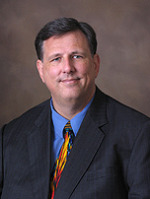 Guy P. Coburn was previously a member of the Florida Bar’s Small Claims Rules Committee for ten years, becoming Chair of that committee in 1999-2000. The Small Claims Rules Committee writes and revises the rules for Small Claims Court, which is the Court that handle cases involving less than $5,000 and which is intended to have simpler rules so that individuals can more easily represent themselves. While Mr. Coburn has "large firm" experience, his rates are far more reasonable than those "large firms." One of the reasons he has opened his own office is the opportunity to serve those clients who don't want to pay those "large firm" rates and still get quality representation with the highest of ethical standards. Authored the "Extraordinary Remedies" chapter, providing instructions and forms for uncommon methods of enforcing and collecting Judgments, including Proceedings Supplementary, Attachments, Receiverships and Charging Orders. This book is an authoritative practice guide published by the Florida Bar which includes forms. Florida District Courts of Appeal have cited Guy P. Coburn by name as author in the cases of Okaloosa New Opportunity, LLC v. LD Projects, LLC, 109 So.3d 1209 (Fla. 5th DCA 2013); MB Plaza v Wells Fargo, 72 So.3d 205 (Fla. 2d DCA 2011); B & I Contractors, Inc. v. Mel Re Const. Management, 66 So.3d 1035 (Fla. 2d DCA 2011). He also authored the same chapter in the 2nd, 3rd, 4th and 5th Editions of the same book. The updated 6th Edition was published in 2017. Authored article on Judgment Enforcement focused on the collection of judgments against business entities, published in St. Petersburg Bar monthly publication. Authored the majority of the materials for a Continuing Legal Education seminar.Lorman later offered the materials for sale on Amazon. Co-authored the materials for a Continuing Legal Education seminar.Lorman later offered the materials for sale on Amazon. He continues to offer programs on Consumer Collections Practices laws, Judgment Enforcement and on the collectability of debts to various associations. Why the Plaid on the banner? The Coburn name comes from Scotland and Clan Cockburn. The pattern used is the Cockburn Tartan. The Clan Cockburn badge features a shield with three roosters, and the Clan Cockburn motto is "Accendit Cantu," which can be translated as "He wakes and motivates with his song."